On 4th May 2016, in collaboration with Corporate Watch, Dr. Anna Feigenbaum and Phil Wilkinson hosted a serious games event in partnership with Photini Vrikki and King’s College London’s Centre for Digital Culture. Our interactive game design workshop, supported by the Political Studies Association and MeCCSA Social Movement Network, brought together designers, artists, programmers, digital culture researchers, corporate watchers, campaigners and investigative journalists to co-create an online education game that could help train people how to do investigative research into corporations and governments. ‘Researching up’ or investigating government and corporate practices is often riddled with obstacles. In place of interview answers, come streams of PR sound bytes and ‘no comment’ replies. With lawyers at ready disposal and PR teams performing 24/7 image-makeovers, the practices of corporate and government elites often take place behind layers of concealer. So how do we strip off these PR masks, hear behind the sound bytes, and insist that information affecting the public, gets made public? Using Corporate Watch’s Investigating Companies A Do-It-Yourself Handbook as a foundation, together we constructed game modules designed to share skills for tracking corporate ownership, following finances, accessing government data, making Freedom of Information Requests, and talking to companies and workers. 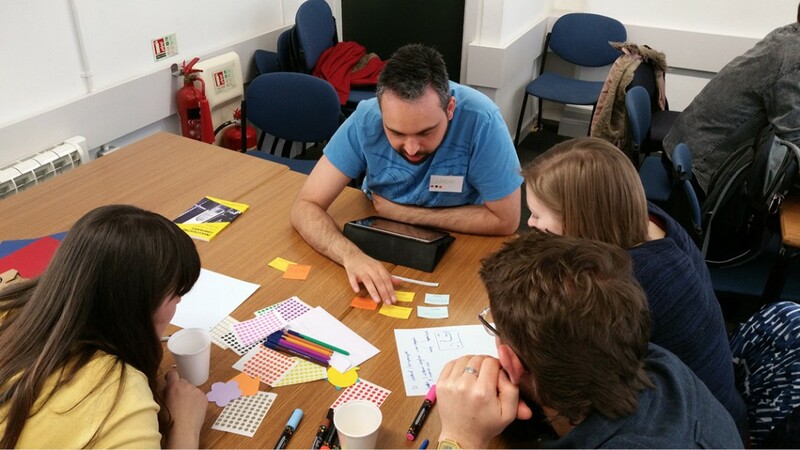 The workshop kicked off with a short Masterclass in Educational and Serious Game Design led by Bournemouth University-based Phil Wilkinsonfrom the Centre for Digital Entertainment and the Centre for Excellence in Media Practice (CEMP). To explore this area hands-on, Phil introduced our attendees to a variety of serious games. Participants played the games and provided feedback from their user-experience. 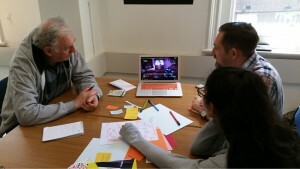 Following a second, short Masterclass on Investigating Corporate Ownership with Corporate Watch, participants worked in groups to collaboratively design paper-based, mock-ups for our game. At the end of the session, groups showed off their ideas. Using skittles as voting tokens, one representative from each team ‘voted’ for their favourite game in the room. Our game day winners were bestowed star trophies, before they were free to eat their results. 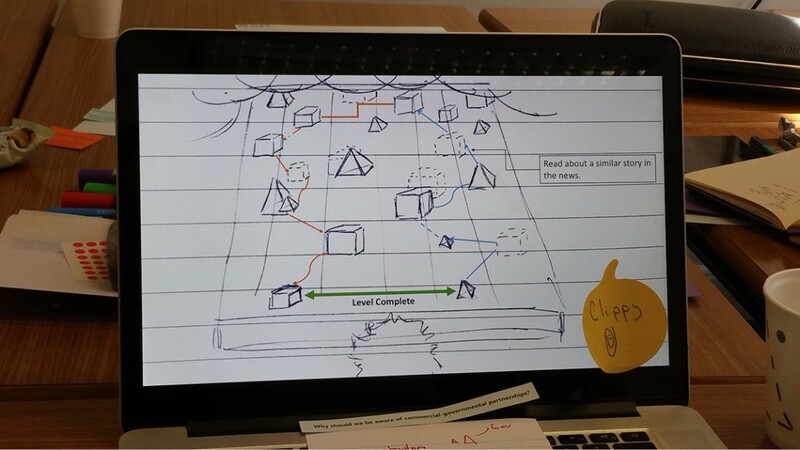 The outcome game designs from the day were then carried forward into a team meeting. From there we designed the gameplay format and script for a first sample module. Then we moved into the technical side of things, working to produce a prototype. Sponsored by Bournemouth University’s Centre for Excellence in Media Practice (CEMP), in partnership with the NYU Game Center, Corporate Watch and the Centre for Investigative Journalism, we produced a sample games module and design documents that turned Corporate Watch’s Investigating Companies A Do-It-Yourself Handbook into an interactive, web-based training interface.